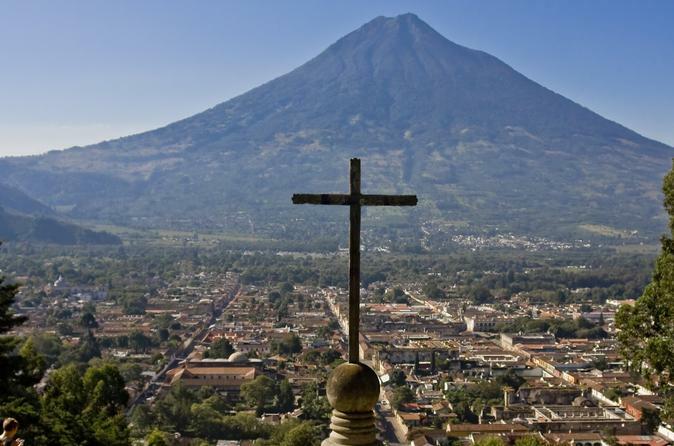 Located just one hour away from Guatemala City, Antigua is the most visited destination because of its history and its cultural beauty. The city of “Santiago de los Caballeros” is a colonial city, founded in 1543, which was the administrative, political and religious center of Chiapas and Central America until the year 1773. The tour will start with a visit to“El Cerro de la Cruz”, where you can appreciate a spectacular view of the city and its surroundings. Later you will visit the “Plaza Mayor” and its surroundings. Next you will visit the “Templo y Convento La Merced y San Franscisco” where inside you can find the tomb of the only Central-American saint, the “Hermano Pedro de Betacurt”. In the afternoon you will have time for lunch followed by a visit to the “La Azotea” cultural center, where two museums are located: “El museo del café” (Coffee museum) and the “Casa k ’ojom” (Mayan music museum).